Lennard J. Davis is Professor in the English Department in the School of Arts and Sciences at the University of Illinois at Chicago, where he had also served as Head. In addition, he is Professor of Disability and Human Development in the School of Applied Health Sciences of the University of Illinois at Chicago, as well as Professor of Medical Education in the College of Medicine. He is also director of Project Biocultures a think-tank devoted to issues around the intersection of culture, medicine, disability, biotechnology, and the biosphere. Davis is the author of two works on the novel–Factual Fictions: The Origins of the English Novel (Columbia U. Press, 1983, rpt. University of Pennsylvania Press, 1996) and Resisting Novels: Fiction and Ideology (Routledge, 1987, rpt. University of Pennsylvania Press, 2001) and co-editor of Left Politics and the Literary Profession. His works on disability include Enforcing Normalcy: Disability, Deafness, and the Body (Verso, 1995), which won the 1996 Gustavus Myers Center for the Study of Human Rights’ annual award for the best scholarship on the subject of intolerance in North America, and The Disability Studies Reader (4th Ed., Routledge, 2013). His memoir My Sense of Silence (University of Illinois Press, 2000), was chosen Editor’s Choice Book for the Chicago Tribune, selected for the National Book Award for 2000, and nominated for the Book Critics Circle Award for 2000. He has appeared on National Public Radio’s Fresh Air to discuss the memoir, which describes his childhood in a Deaf family. Davis has also edited his parents’ correspondence Shall I Say a Kiss: The Courtship Letters of a Deaf Couple, 1936-38 (Gallaudet University Press, 1999). Davis is a co-founder of the Modern Language Association’s Committee on Disability Issues in the Profession, and he is on the board of several academic journals. 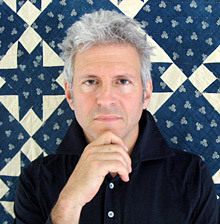 Having written widely for newspapers and magazines, Davis is also the author of a novel entitled The Sonnets (State University of New York Press, March 2001). A collection of his essays entitled Bending Over Backwards: Disability, Dismodernism, and Other Difficult Positions was published by New York University Press in August 2002. 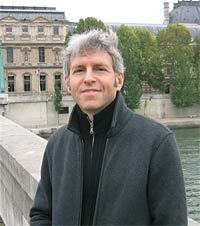 He was awarded a Guggenheim Fellowship in 2002-2003 for Obsession: A History (University of Chicago Press, 2008). His book Go Ask Your Father: One Man's Obsession with Finding his Origins Through DNA Testing was published by Random House in 2009. His most recent book The End of Normal: Identity in a Biocultural Era was published in 2013 by University of Michigan Press. His forthcoming book on the Americans With Disabilities Act will be published on the 25th anniversary of the Act by Beacon Press. Davis edits the Routledge Series Integrating Science and Culture. He has written numerous articles in The Nation, The New York Times, The Chicago Tribune, The Chronicle of Higher Education and other print media. Davis has also been a commentator on National Public Radio’s All Things Considered, and appeared on Morning Edition, This American Life, Odyssey, The Leonard Lopate Show and other NPR affiliates. His current interests include disability-related issues; literary and cultural theory; genetics, race, identity; and biocultural issues. Please download a PDF version of Lennard's CV here.